Despite its modernity, Hong Kong still shows many sights that you would rather expect in a less cosmopolitan city. Singapore is sanitized, mainland China is often backwards, Hong Kong sits somewhere in between and I love that. 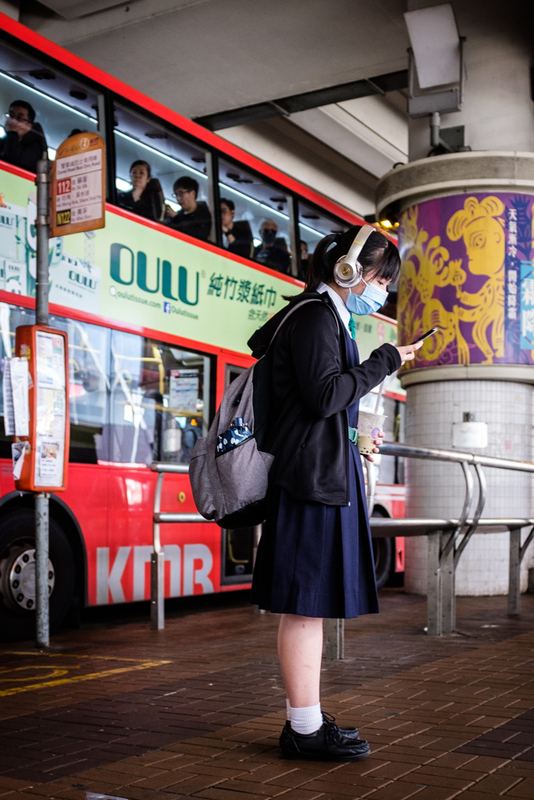 Headphones, mask and mobile phone : all of the Chinese ingredients to a safe isolated life. Not far from the shared office space I occasionally use is a street with several garages. 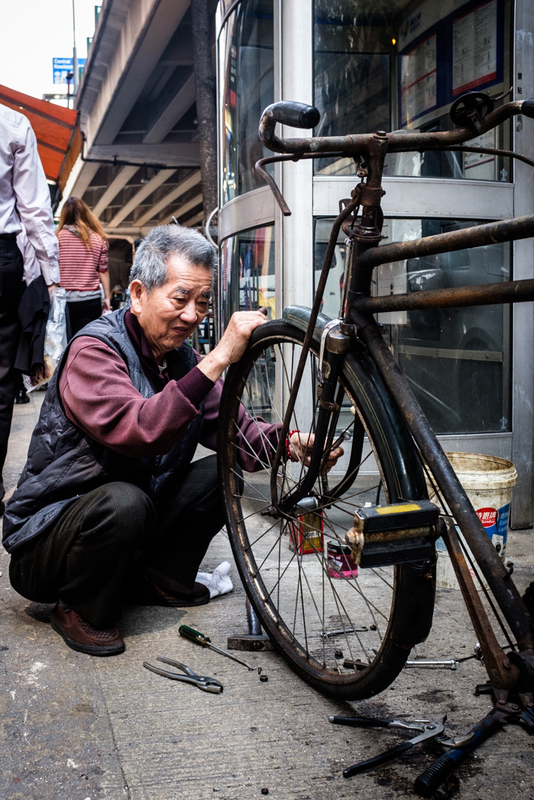 But Hong Kong being Hong Kong, there’s no space for a yard or even inside shop, so the cars are fixed in the street. But it’s the first time I’ve ever seen a model like this. 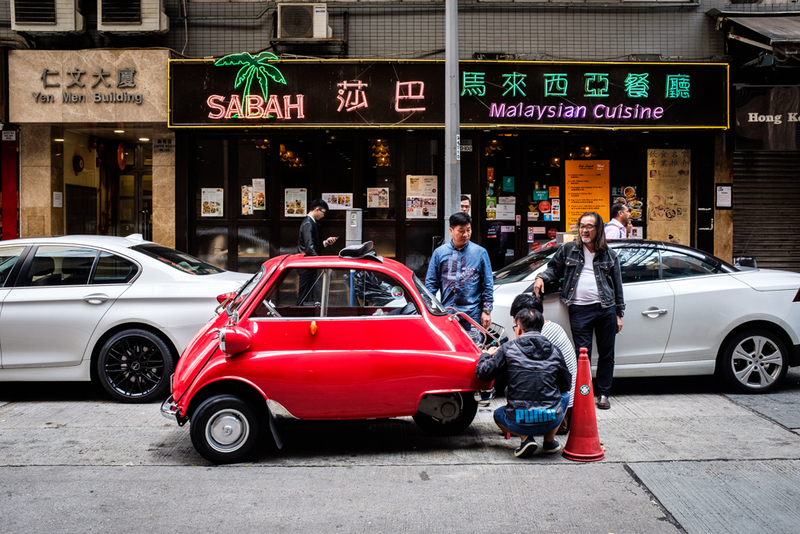 To be honest I have no idea what that mini-car is, I just thing it’s well suited to the narrow streets of HK ! 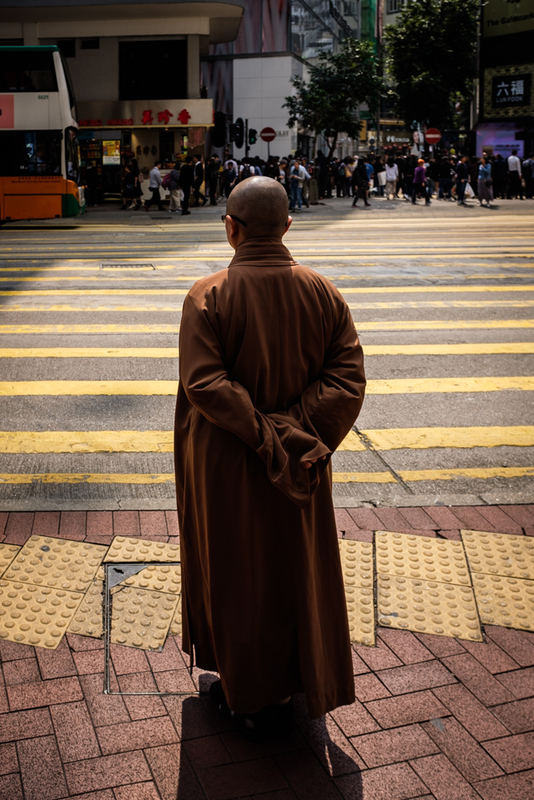 To be fair, few people jaywalk in Hong Kong anyway, but when I saw this Buddhist monk quietly waiting in front of the crossing, I had this funny notion about respecting the rules (or not).